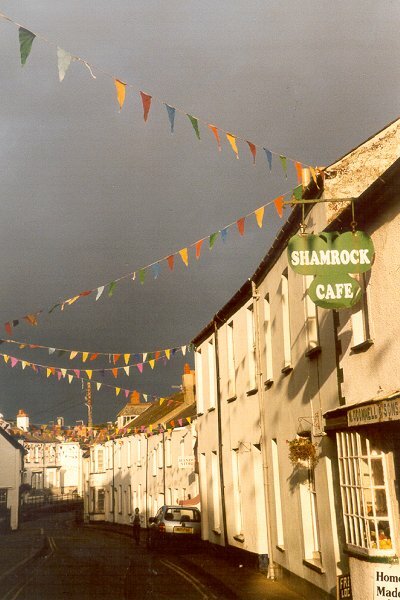 Hartland is an historic village two miles from the North coast of Devon. Close to the Cornish border, with views of Lundy Island, this unspoilt area has breathtaking coastal scenery. It is excellent for coastal walking, surfing, bird watching, garden visiting and the cliffs and wooded valleys have many varieties of wild flowers. The Workshop is in the enclosed garden courtyard of my house, in the centre of the village. The friendly community is diverse and lively, with Primary school, Small school, Health Centre, Post Office, pubs, tennis courts and shops. Music flourishes with a choir, band, string quartet and several groups. Sporting activities include darts, skittles, badminton and football. There are many local craftspeople including a Windsor chair maker, photographer, sculptor, print maker and three potteries. Accommodation in the area is very varied. 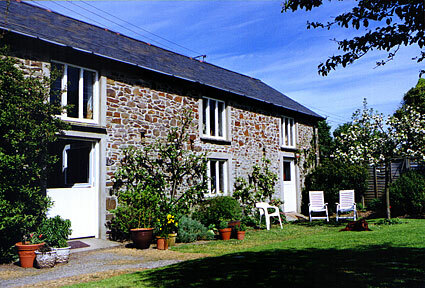 There are many self catering cottages to rent, local B and B’s in the village and on nearby farms. Please see the Local Accommodation page. TRAVEL: Approximately 2 hours by road, west from BRISTOL along M5 to Tiverton at Junction 27, then A361 to Barnstaple and A39 to Bideford. 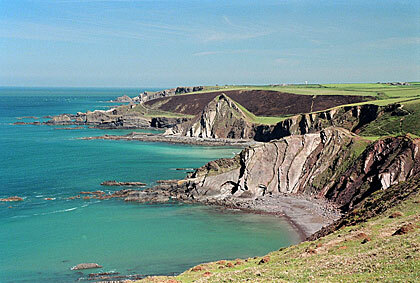 Hartland is then about half way between Bideford and Bude in Cornwall. Train via EXETER to BARNSTAPLE then 20 miles by road, or to TIVERTON PARKWAY, then 45 miles by road. Coach to BIDEFORD then 12 miles by road.